PVCu Windows from Markwell are designed to stand the test of time. 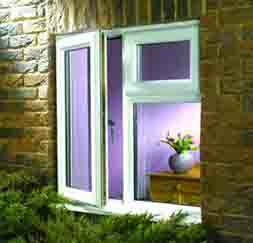 Markwell in Hertfordshire are leaders in their field and can help you with your individual PVCu window requirements. They will fit new or replace existing windows that are just right for your home with the added value of quality customer service. With Markwell you can be assured of the best products and there backing of a 10 year guarantee on all their workmanship. PVCu windows come in a range of colours, a variety of styles and designs to suit the aesthetics of every home. You choose what type of glazing you like as this all makes a big difference to the appearance of your windows along with the type of glass or any other requirement you may have. These windows will stand the test of time as they are long lasting, are resistant to rusting, flaking and fading and are beaded from the inside to provide maximum security for your home. The glass of the PVCu window is made with a low emissivity glass that greatly cuts down outside noise, plus adds warmth and comfort to your home, helping you save on your heating bills. All Markwell in Hertfordshire PVCu windows are made to your requirements. Adding new PVCu windows to your property will not only increase the value of your home making them a worthwhile investment, they also offer greater ventilation, more light, better security and sound insulation for a quieter home. The PVCu material is ideal for window as it does not rot over time and is resistant to the harsh winters with virtually no maintenance required. These windows are bright, modern and attractive. A must for any home! Whichever style of window you choose, you can be sure that Markwell will work with you to find the best windows for you and your home.